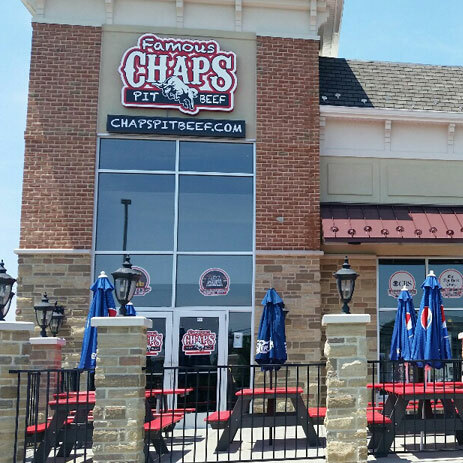 Chaps Pit Beef proudly serves Maryland’s best pit beef, turkey and pork as well as BBQ chicken and ribs. We pair those items with delicious home-style sides, including ocean fries, baked beans, green beans, cole slaw, potato salad, and more! Contact us using the form on this page to learn more or have questions about becoming a Chaps franchise partner. New Location in Aberdeen Now Open! None of the communications made through this web page should be construed as an offer to sell any Chaps franchises in, nor is any such communication directed to, the residents of any jurisdiction requiring registration of the franchise before it is offered and sold in that jurisdiction. No Chaps franchises will be sold to any resident of such jurisdiction until the offering has been exempted from the requirements of, or duly registered in and declared effective by, such jurisdiction and the required Franchise Disclosure Document (if any) has been delivered to the prospective franchisee before the sale in compliance with applicable law. If you have any questions concerning the registration status of franchises in your jurisdiction, please contact our franchise development team. INTERESTED IN LEARNING MORE ABOUT THIS AMAZING FRANCHISE OPPORTUNITY? We’re excited about your interest in becoming a franchisee. For more information, please complete the form or call 410-824-1112.